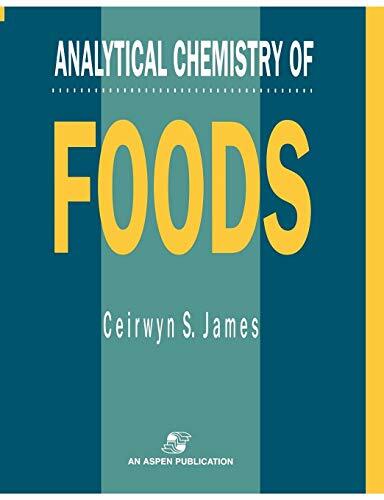 This book describes all the most common food analytical procedures in a clear and logical way. A simple, but thorough, grounding in the subject is ensured by easy-to-follow discussions of the theory behind the methods. International Standard Organization (ISO) methods are distilled and covered, where appropriate, in a manner which allows for ease of use where absolute measurements are not required.